Vodafone is one of the world’s leading mobile communications providers. 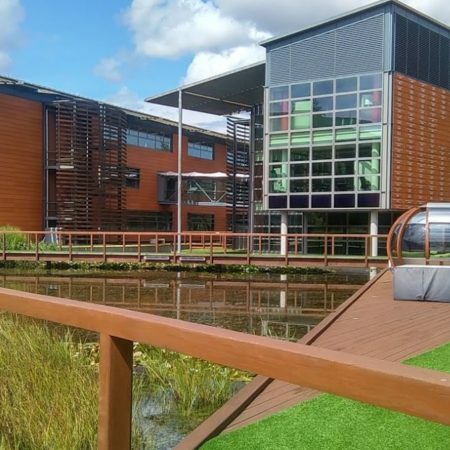 For the Vodafone testing lab in Newbury, Geoclima cooperated with partner Cooltherm for the replacement of the existing aging cooling plant. The end user required a robust and efficient system to provide stable water temperatures to computer equipment rooms. 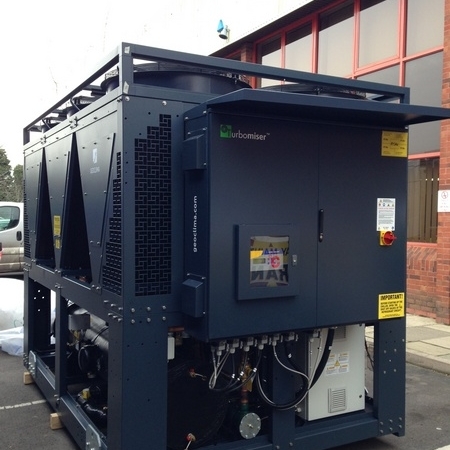 The project involved the design and development of 3 Turbomiser air cooled chillers with maximum 400 kW of cooling capacity each, designed to provide 280 kW at 30% efficiency. In order to ensure 100% operation of the data center during the installation works, a phased approach has been chosen, replacing one chiller at a time over a period of four weeks. During the site inspection, it was also discovered that the plant had a combination of DX refrigerant and chilled water computer room cooling equipment (CRAC units) which were longer efficient, especially as for DX systems. 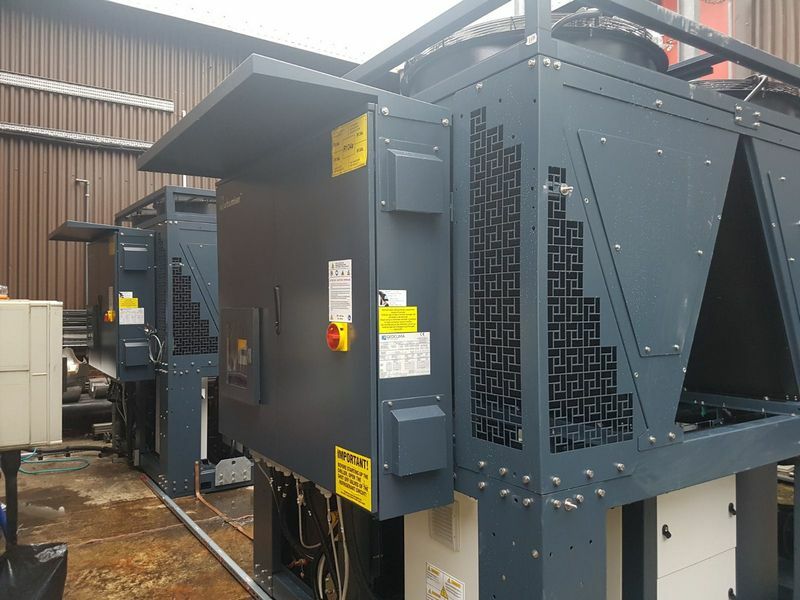 The installation of Turbomiser units ensures great benefits in terms of both efficiency and energy saving which could be further maximised converting the existing inefficient DX CRAC units. 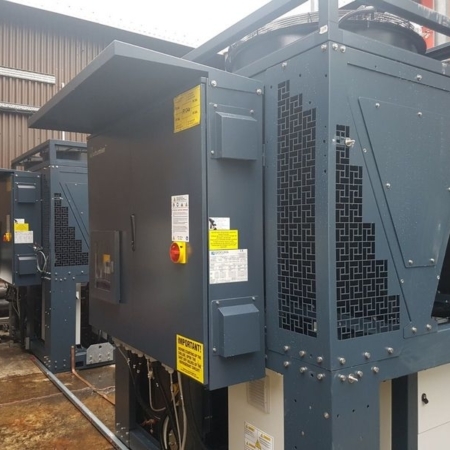 To this end, and since these units turned out to be structurally in good conditions, the project team decide to design and provide bespoke chilled water coils to replace DX coils. The entire project, the installation of Turbomiser units and of chilled water coils, ensures maximum efficiency and remarkable energy and cost savings, in addition to environmental advantages. 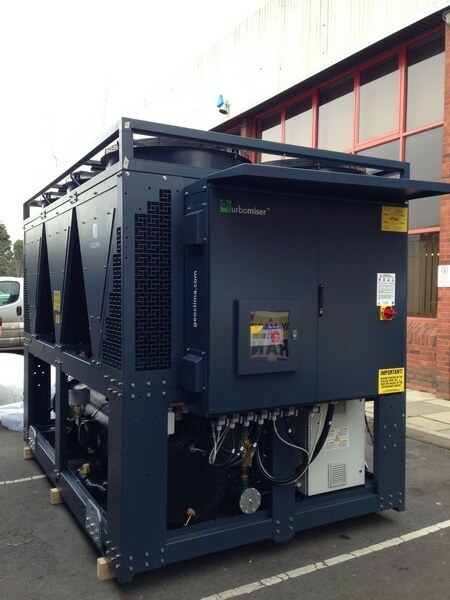 Turbomiser chillers alone are saving 10% of energy costs, which means 10.000 £ per month and the converted CRAC units using less than 20% of power than before. For an environmental point of view, Turbomiser ensures low energy consumption, reduced refrigerant leakage and no oil charge; in addition to this, the use of converted CRAC units made it possible to remove up to 80 kg of greenhouse F-gas.